Beautiful, comfortable and tranquil hideaway. Jill is a very warm, welcoming host and took a lot of trouble to ensure we had everything we needed. The place was clean and tidy. Fresh smell off bread as we arrived. Host was very nice and polite we will recommend a stay to anybody. The facilities were excellent and the feel for the place was one of class :), little luxury toiletries, great quality kitchen with fully stocked ameneties. A warm and cosy 'little retreat' in a picturesque setting away from life's hussle and bussle, the hosts were very friendly and welcoming :). Thanks Jill! So many extra touches. Complete home from home experience. Stylish decor, a beautiful secluded garden to sit in (if the weather allows), wonderful fresh produce (including warm fresh bread and a bottle of wine) and a lovely helpful host - our stay at The Smithy was perfect in every way! Lock in a great price for No1 The Smithy – rated 9.9 by recent guests! Set in Tattenhall, this apartment features free WiFi. The unit is 22 mi from Liverpool. Free private parking is available on site. An oven, a toaster and a fridge can be found in the kitchen and there is a private bathroom. A TV and DVD player are featured. Other facilities at No1 The Smithy include a barbecue. Guest can choose to self-cater or have breakfast provided. The village pub is only a 2-minute walk from the property. Chester is 7.5 mi from No1 The Smithy, while Shrewsbury is 28 mi from the property. A number of activities are offered in the area, such as golfing and horse riding. The nearest airport is Liverpool John Lennon Airport, 16 mi from the property. 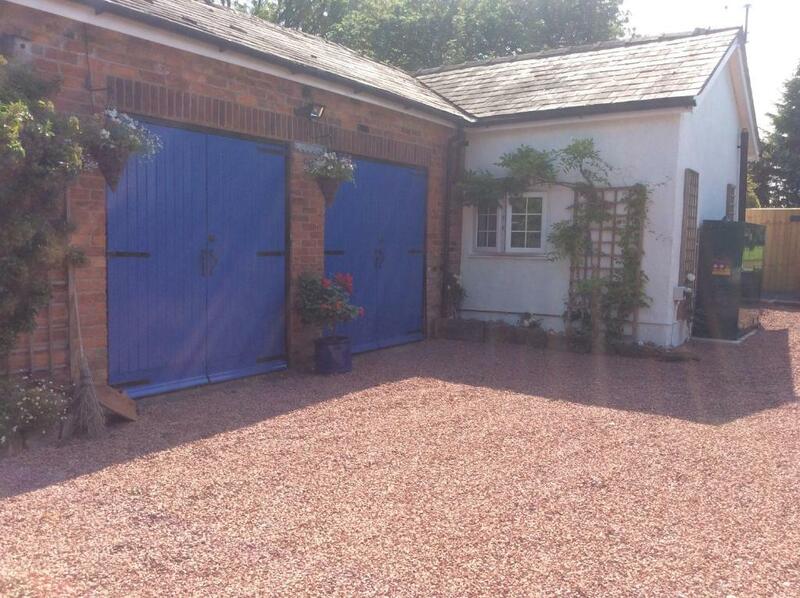 This property also has one of the top-rated locations in Tattenhall! Guests are happier about it compared to other properties in the area. 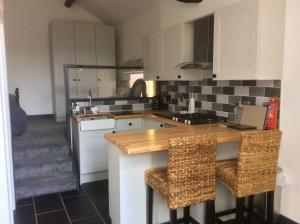 This property is also rated for the best value in Tattenhall! Guests are getting more for their money when compared to other properties in this city. When would you like to stay at No1 The Smithy? This unit has a raised bed, a fitted kitchen, a breakfast bar and a seating area. It has a bathroom. Bedding and towels are included. The building used to house a blacksmiths on the old road from Chester to London, legend has it that Oliver Cromwell stayed in the coaching house in the village! The property is surrounded by beautiful countryside, fabulous walks, and great pubs, one within a 2 minute walk from the house. Chester city which is a roman city is 10 mins away, Cheshire Oaks a huge outlet centre is also a 10 minute drive away. We are ideally placed for a visit to the zoo or a short drive (10 mins) and you are in Wales. Within a few miles there are amazing walks, cycle rides, historic cities (Chester, Liverpool) a 2 minute walk away is the village pub serving home brewed food and excellent food. Wales is 10 mins away with all it has to offer. It's an amazing location so much to do and see.... shopping in Chester, Cheshire Oaks outlet village or Shrewsbury, walking the Sandstone Trail or Snowdonia, going to the beach on Anglesey or the Wirral Peninsula, visiting Chester, Manchester or Liverpool by car or rail. Come and see for yourself!! House Rules No1 The Smithy takes special requests – add in the next step! Any additional adults are charged GBP 20 per night for extra beds. Please inform No1 The Smithy of your expected arrival time in advance. You can use the Special Requests box when booking, or contact the property directly using the contact details in your confirmation. There is absolutely nothing we doesn't like.! The breakfast and fresh bread were fantastic. Nothing....except one night was not enough.